Dr. Von Bergen is trained in pediatric cardiac electrophysiology, the study and treatment of abnormal heart rhythms in pediatric patients and in adults with congenital heart disease. He completed his medical degree, residency and pediatric cardiology fellowship at University of Iowa Children's Hospital, Iowa City, IA, with some additional training in Ann Arbor, MI. He is board certified in pediatric cardiology. Dr. 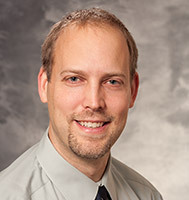 Von Bergen performs the majority of his procedures at American Family Children's Hospital, but has also traveled to hospitals in Iowa, South Dakota and Nevada, which provides him with one of the higher procedural volumes among pediatric electrophysiologists. He has an interest in the development, adoption and teaching of advanced procedural techniques to improve safety or effectiveness of the procedures he performs. Dr. Von Bergen treats patients who have been dignosed with Wolff-Parkinson-White Syndrome or might be at risk for the syndrome.